Dont bother, no one can ban mando. 100% support for what the very bad soldier said. How is the 9.46 balance a joke? "Waste time to discuss it on forum", seriously? So very wrong. Ive no idea what is happening in that picture. But its a nice picture. Plz ban Mando for life. Plz ban Mando, he is a major C and a N lover. Who cares about cunts and niggers in the internets, you see one and you move on. BUT Mando says it too much. And Adolf. But Adolf is The Satan, so I think its ok.
Plz ban Mando. Making games crash even as a spectator, omg wtf. Plz ban Mando from whitelists. While at it, stop this silly name changing. 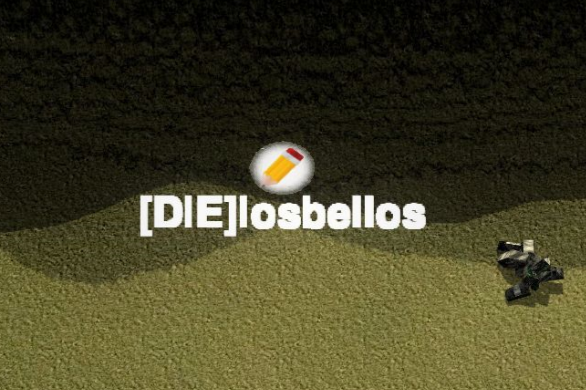 How many [DIE]Losbellos are there? One. The rest ten variations are Mandos. Ban Mando. Make him go to the same place Emission went. Alt + y does not work. This is not good. Well for whatever reason this hasnt happened anymore in few days. Maybe lucky. Its just weird when things start happening with new versions, sure maybe OS or whatever doesnt like them. Change resistance. It not good, spring and annihilation. Why make new broken what is old good working. Now not working. Makes sad. No new versions, please, give back old. Yes, automatic clock synchronization with time.windows.com. Sorry abma, I dont understand what you mean about adjusted clock :/ But nothing related to computer clock had been done, or anything else special 6 hours ago from that timeout happening. Its totally random and mystical, these timeouts, I would assume.